26. וּבִמְקוֹם שֶׁיֵּלֵךְ בְּדֶרֶךְ אֱמֶת וְיִהְיֶה צַדִּיק כָּרָאוּי כְּדֵי שֶׁיִּשְׁמַע אָבִיו הַמֶּלֶךְ וְתִהְיֶה עָלָיו תְּשׁוּקָתוֹ – מֶה עָשָׂה? אָמַר, הוֹאִיל וְיָצָאתִי מֵהֵיכַל אָבִי, אֶעֱשֶׂה מִכָּאן וָהָלְאָה כָּל מַה שֶּׁאֲנִי רוֹצֶה. מֶה עָשָׂה? הָלַךְ לְהִתְחַבֵּר לְזוֹנוֹת, וְהִתְלַכְלֵךְ בְּלִכְלוּךְ וְטִנֹּפֶת עִמָּן, וְלֹא הָיָה נִמְצָא אֶלָּא עִמָּן בַּחִבּוּר שֶׁלָּהֶן. כְּשֶׁהַגְּבִירָה אִמּוֹ פּוֹקֶדֶת בְּכָל יוֹם עַל אוֹתוֹ הַבֵּן וְיוֹדַעַת שֶׁבְּנָהּ הִתְחַבֵּר עִם הַזּוֹנוֹת וְכָל חַבְרוּתוֹ הָיְתָה עִמָּהֶן, מַתְחִילָה לִבְכּוֹת וּלְמָרֵר עַל בְּנָהּ. 27. יוֹם אֶחָד נִכְנָס אֵלֶיהָ הַמֶּלֶךְ וְרוֹאֶה אוֹתָהּ בּוֹכָה. שׁוֹאֵל אוֹתָהּ: עַל מָה אַתְּ בּוֹכָה? אָמְרָה: וְאֵיךְ לֹא אֶבְכֶּה, שֶׁהֲרֵי בְּנֵנוּ מִחוּץ לְהֵיכַל הַמֶּלֶךְ? וְלֹא דַי שֶׁאֵינוֹ יוֹשֵׁב בְּהֵיכַל הַמֶּלֶךְ, אֶלָּא שֶׁהוּא יוֹשֵׁב עִם הַזּוֹנוֹת! מַה יֹּאמְרוּ כָּל בְּנֵי הָעוֹלָם – שֶׁבֶּן הַמֶּלֶךְ יוֹשֵׁב בְּבֵית זוֹנוֹת?! הִתְחִילָה לִבְכּוֹת וּלְהִתְחַנֵּן לַמֶּלֶךְ. The Zohar continues to explain the state of exile that we are in and tells us that the Shechina was sent to exile with us to give us support. The Shechina was residing in the Holy Temple, and after the destruction she went to exile with us. The river is the aspect of Binah that brings life to the worlds below. When the Holy Tempe was standing the Shechina had the continuous support from the ‘river’ of Binah. When the people developed greater desires for the self alone the spiritual vessel shrank and the river became dry. The disconnection of the people from the Light caused the destruction of the Holy Temple and the Shechina was removed from its dwelling place. Shechina, שכינה, has two words שכנ and יה, meaning where the upper levels of Chokmah and Binah dwell. Now the Shechina is wandering with us and can make temporary unification with the Light only on Shabbat, and when we make proper spiritual connections. 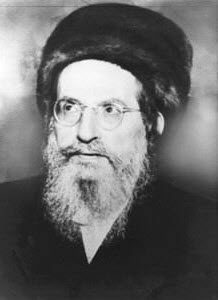 Rabbi Avraham Azulai and other great Kabbalists tell us that the main reason for Rabbi Shimon to write the Holy Zohar is to provide support for the Shechina while we are in exile. When we study from the Zohar about the secrets of the upper levels we draw great light that is like the supernal river of Binah. It provides energy to the Shechina and she can help us and support our process.